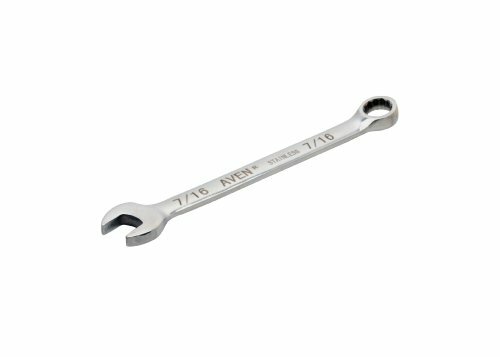 Combination wrench 7/16" made from 420 series stainless steel. These wrenches can be autoclaved up to 250 degrees Fahrenheit. The open end is angled at 15 degrees and the other end is a 12 point box end that is offset at 15 degrees. Eliminates risk of ferrous contamination in the maintenance and operation of process equipment in clean rooms, food service and health care industries.